With Frontier’s diverse, standards-aligned writing projects, teachers can enhance writing instruction and push thinking to new levels. "Frontier certainly increased the quality of students’ writing... Frontier provides a safe environment for research and tiered resources so students who are not reading at grade level can still have a rich experience." Frontier taps into student interests and experiences to build confident, engaged writers. 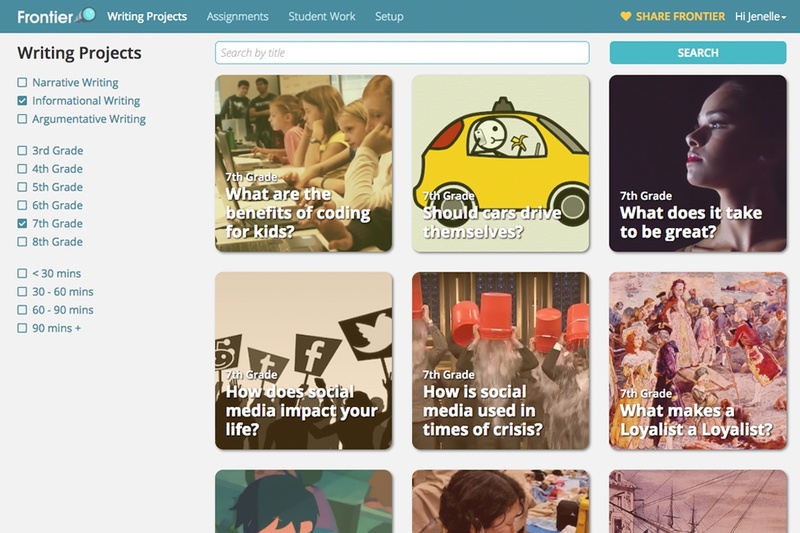 Aligned to ELA state standards, Frontier writing projects feature thought provoking guiding questions, curated multimedia texts and resources, and formative assessments. Every Frontier writing project culminates in an extended narrative, opinion, or informational writing challenge that asks students to think critically and apply what they learned while citing evidence from complex texts. 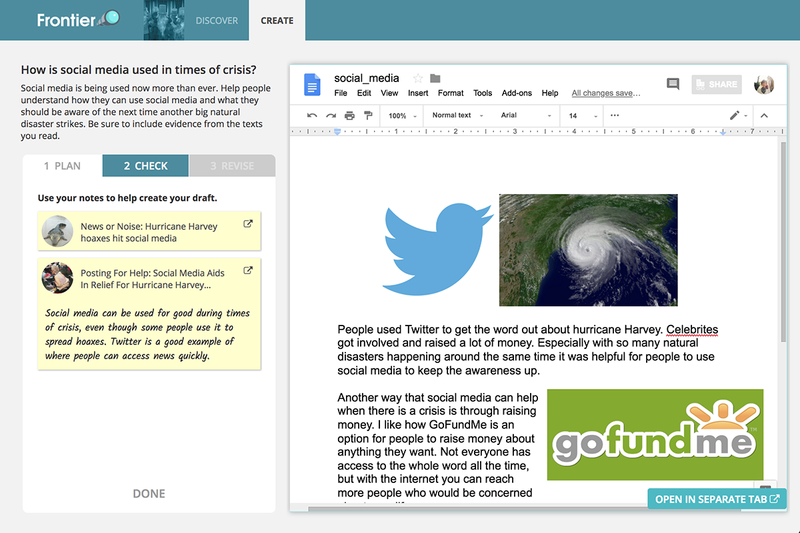 As students write, they’re given automated, real-time feedback on their use of purpose, organization, evidence, and spelling and grammar conventions. Once they submit their first draft, students review and provide feedback on the writing of two of their peers. 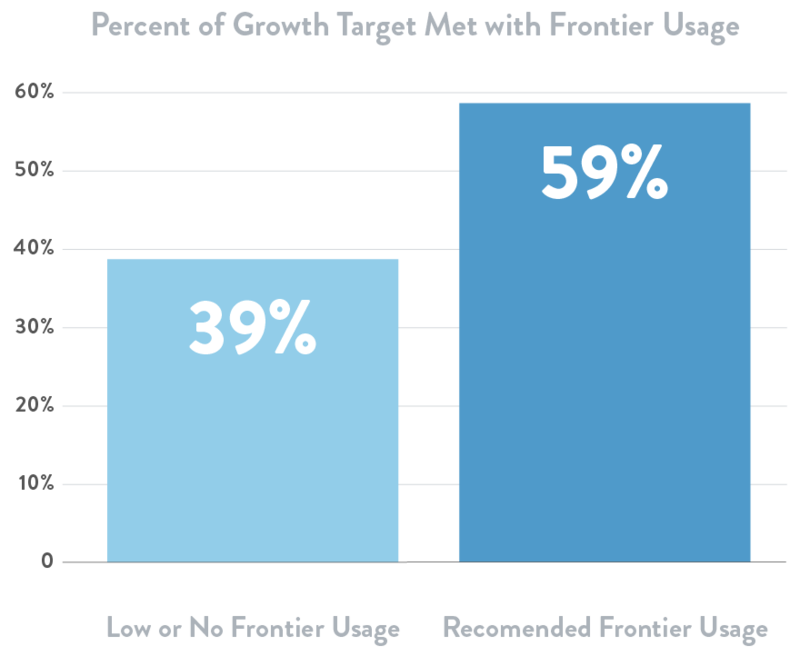 By sending data-driven insight reports to teachers and administrators, Frontier helps districts strengthen their writing instructional practices and identify opportunities for growth, celebration, and professional development. Can we really eat how cavepeople ate? 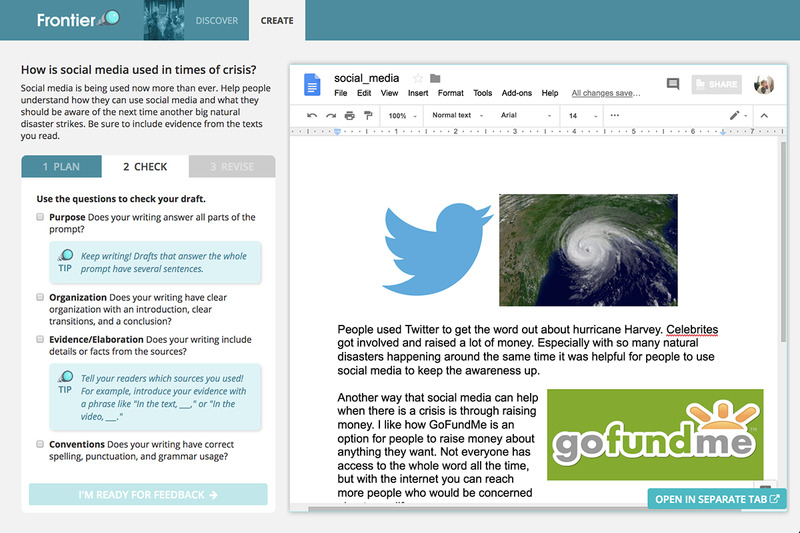 "The feedback that I received from Frontier about my students' writing was invaluable. One of my students who typically flies under the radar was finally able to get some well deserved recognition. Frontier helped me address specific issues with other students, things like trouble with transitions and run-on sentences." 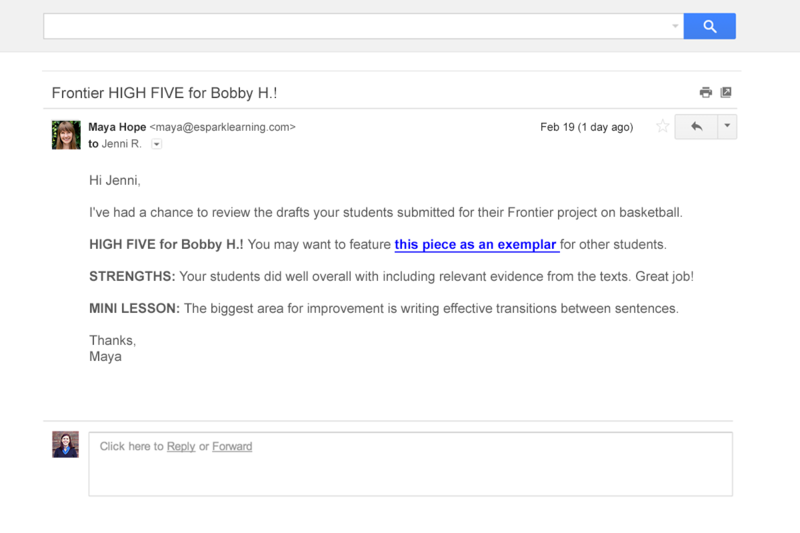 In 2017, researchers from Columbia University’s Teachers College studied the academic impact Frontier had on 6th - 8th grade students attending Propel Schools in Pittsburgh, PA.
See how Frontier can build better writers in your district.